For Landscape Contracting, Landscape Construction, and Landscape Maintenance courses at the undergraduate level. 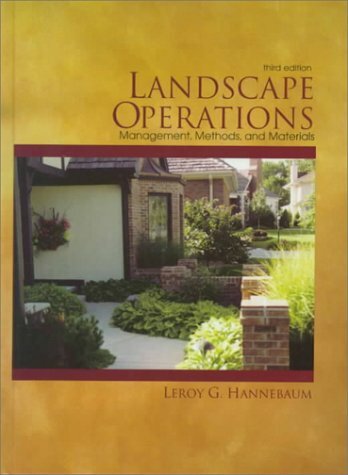 Tying together the myriad facets of a landscape nursery operation, this functional text focuses on the management, methods, and materials necessary to establish a solid business. It is based upon the author's 31 years of experience in nursery and landscape industries, landscape design, installation, and management.